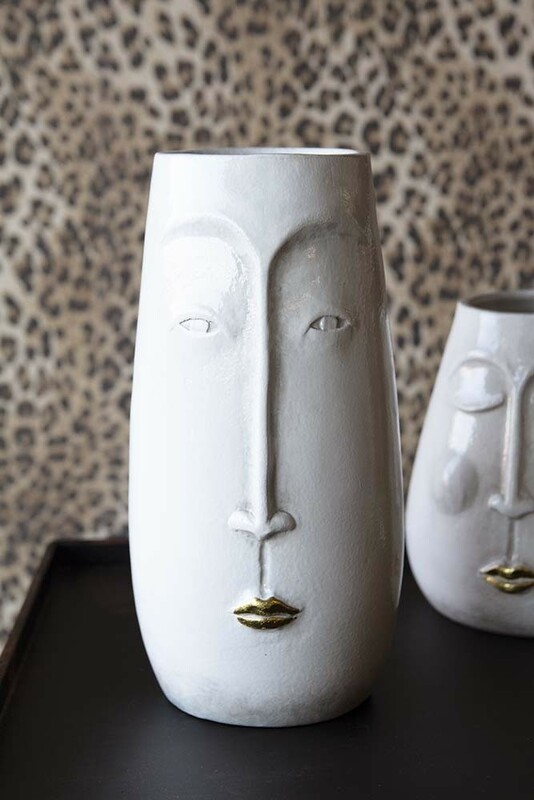 Beautifully peaceful the Peace Vase - Eyes Open With Gold Lips is a charming and eclectic decorative vase for your home. Display pieces such as vases, ornaments, quirky bookends and coloured glass bottles are all easy ways to update the home without much time, money and effort. The trick is to create a style spot on your coffee table, mantelpiece, book shelf and more using pieces that are either textually interesting, add colour to your interiors or add height, layers, and dimensions. A wonderful decorative vase, the Peace Vase – Eyes Open With Gold Lips is perfect for all of your favourite buds, long stem flowers or greenery. 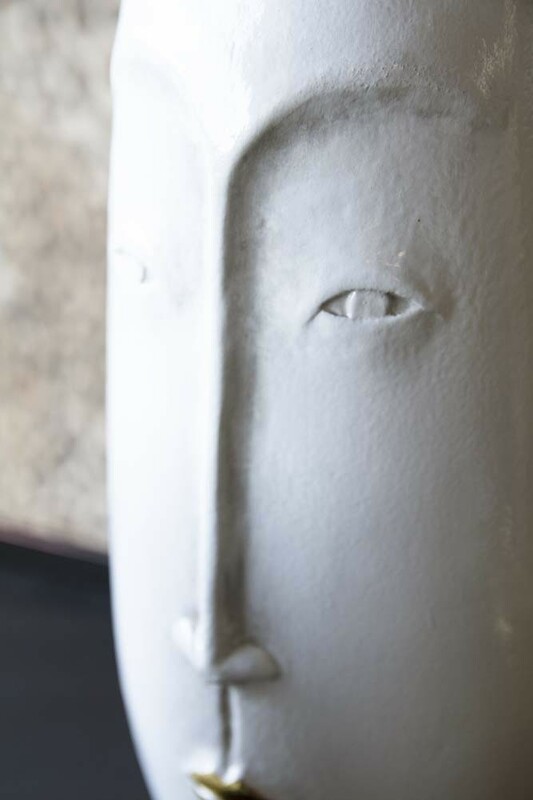 The Peace Vase – Eyes Open With Gold Lips is also available in a Eyes Closed With Gold Lips design and would make a particularly wonderful and unique gift!